This full zip sweatshirt is imprinted in 2 locations. Sweatshirt is 80% cotton/20% polyester. CI Full Zip Hoodie. 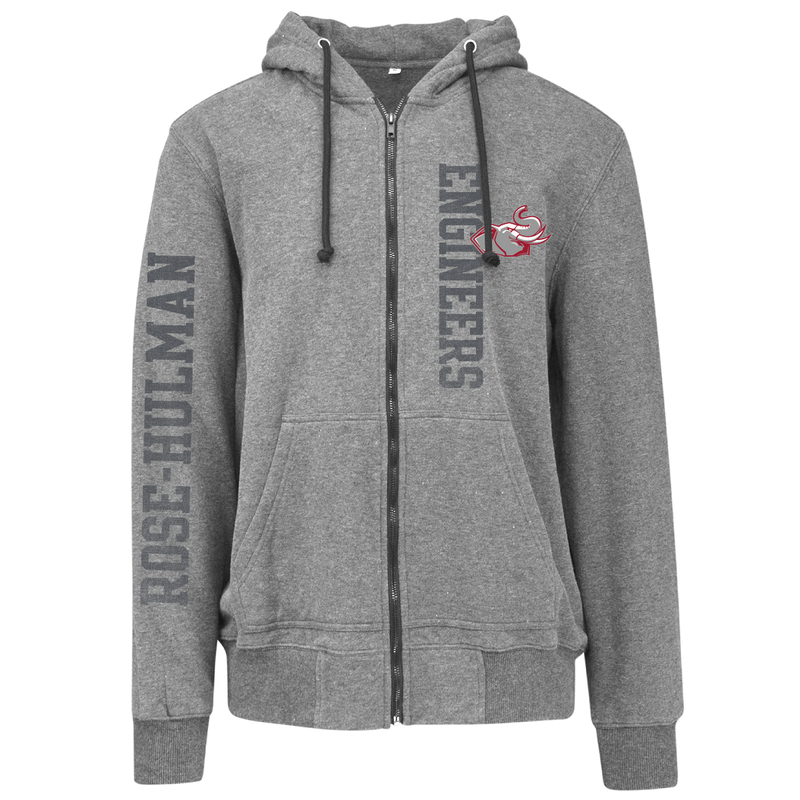 Embroidered Rosie the Elephant over "Rose-Hulman". 50% Cotton/50% Polyester. Pigment Washed. Please select option for CI Full Zip Hooded Sweatshirt. CI Sport Full Zip Hoodie. 71% Polyester, 26% Rayon, 3% Spandex. Please select option for CI Sport Full Zip Hoodie.